I tried to modify an existing mesh by adding a simple rectangle box, that intersect with the model and fill some empty parts for 5mm. The model looks good in Fusion 360 and in Cura. Only when I slice it I see that some part are missing. 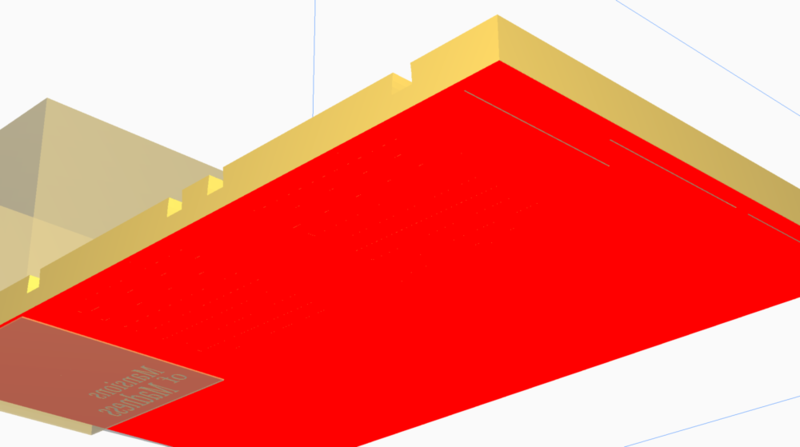 Is there a way to fix this in Cura or Fusion 360? Please note I also have the same problem with a cylinder on this model: you can see the hole on the left side of the model. I tried all "Mesh fixes" option without success. I always thought that this alternating was the desired behaviour? When the slicer encounters the first edge it turns the material on. At the second edge = material off. Third edge = on, fourth edge = off, etc...? Otherwise I think it has no way to know whether it has to fill a model or not, since the STL-file only consists of triangles, if I understood that well? Maybe software-engineers like smartavionics or ahoeben could shine a light on this? Anyway, I use this feature to make hollow text and watermarks inside a model. I design the watermark separately, outside of the model, and then I just move it inside the model. 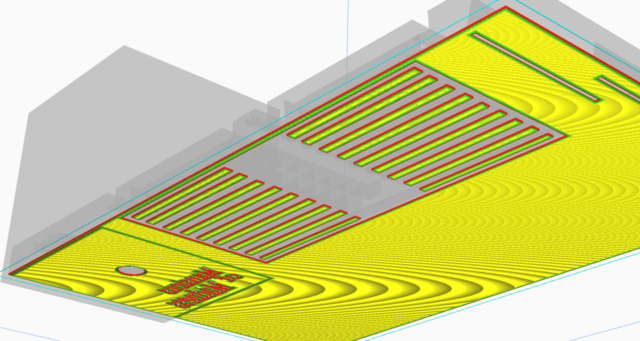 After export to STL it is automatically sliced correctly, thus Cura automatically hollows-out the text. Thanks for the answer and the example @geert_2, it makes sense now that you say it. But I'm surprised this is not an option to setup somewhere and even more why this would be the default option. I mean you can just cut the intersection out of the model in your editor, I don't see why this would managed in the slicer. I tried this : Union overlapping volumes ( https://ultimaker.com/en/resources/20424-mesh-fixes ), but it does not change the behaviour for me. I'm a beginner, so I may miss something obvious here but for me it would make more sense to edit the model in the 3D editor. I found what was causing the issue. I'm using a support blocker on one part of the model, to slow down the print speed on this specific part. If I remove this support blocker, it works fine: no more empty part ! 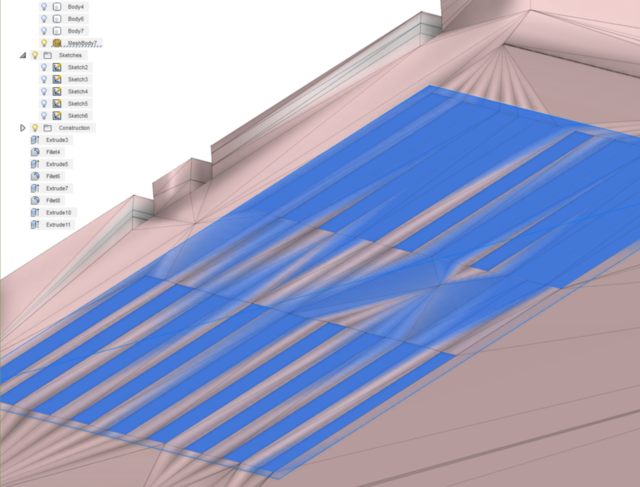 It seems like using a support blocker inhibit the " U﻿nion overlapping volumes" features. This may be a bug. This support blocker does not touch the part with the issue, and I changed only the print speed. It seems it's because my model was not watertight. I will try to fix this.